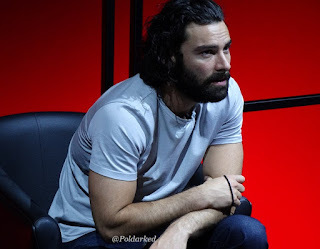 Fans flocked to the BFI and Radio Times Festival in April to see Aidan Turner, along with writer Debbie Horsfield and executive producer Damien Timmer at the oddly named session Ross Poldark: Old-fashioned Hero for a Modern World. While much of the interview had the air of déjà vu about it, I did find nine snippets to pass on to our readers and there were plenty of photos from the event. In November the International Press Academy announced Poldark is to be honoured with the Satellite Award for Best Ensemble Television 2017. Earlier in the month Debbie Horsfield won the Romantic Novelists' Association Industry Award 2017 for Best Adaptation of a Romantic Novel for the second time. Poldark won the Television and Radio Industries Club award for HD Drama Programme of the Year in March. During 2017 Poldark received nominations for the National Television Awards, TV Choice Awards and Royal Television Society West of England Awards. 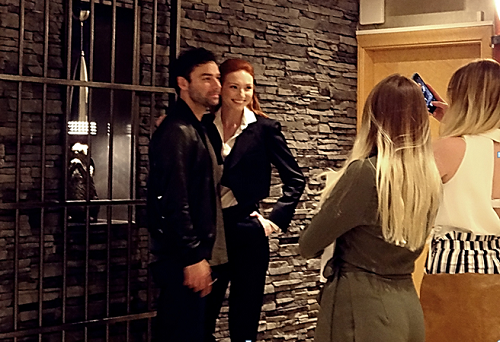 Composer Anne Dudley was nominated for a BAFTA Craft Award and Aidan Turner received a nomination for best actor from the Irish Film and Television Academy. Sadly this year there was no public preview screening of Poldark series 3 in the UK but in May I was privileged to be invited to the press screening and Q&A. I took a few pics too! Just giving. 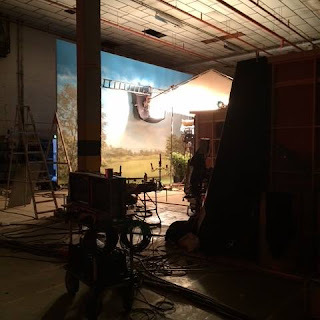 One of my favourite things about production company Mammoth Screen is its support for charities. This year saw Poldark taking part in the Children in Need appeal with four CIN volunteers spending a day on the set. Poldark prizes were given to charity auctions too including those held by LE Solidarity and Highgate has Heart, both of which help refugees. Ross's tricorn, signed by Aidan Turner, was a prize at a fundraiser lunch with Michael Parkinson for Cornwall Air Ambulance. Well done Poldark! 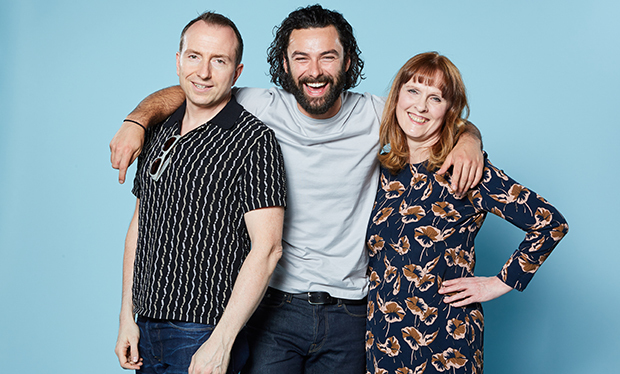 Aidan Turner (Best Actor), Eleanor Tomlinson (Best Actress) and Harry Marcus (Breakout Talent) are all winners in the Radio Times Reader Awards 2017! Poldark is runner-up to the excellent Peaky Blinders for Best Drama. Last year Poldark swept the board winning in all four categories, with Gabriella Wilde winning best newcomer. Congratulations everyone! Very well deserved.